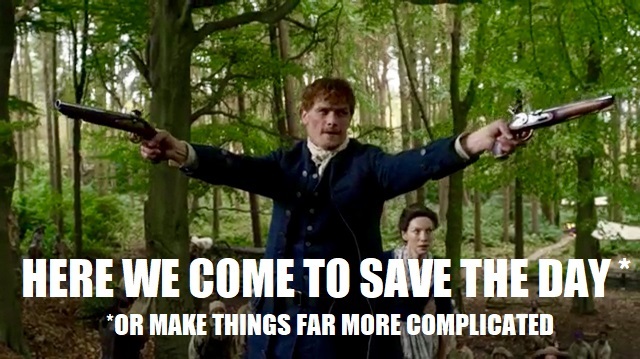 Jamie and Claire have made it to River Run, and in true Fraser fashion, they have MADE THEIR PRESENCE KNOWN, SIR. 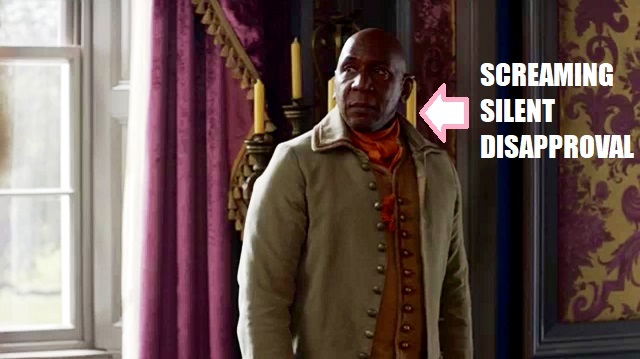 Tackling the horrors of slavery, Outlander episode 402, “Do No Harm”, was hard to digest. It was ugly and painful and a lot to process, as it needed to be. And while the Frasers have the very best of intentions—oof. Sometimes they do more harm than good. I’d never be able to capture the utter trauma of this haunting, heart-wrenching, beautifully acted hour of television, so let’s just take a look at some notable shoutouts with the latest Outlander Superlatives. If Claire had her druthers, she would strut through North Carolina doing and saying whatever she pleases because she knows what’s up. Okay. So she sort of does that anyway. And when Claire does everything in her power to try to save Rufus—and who can blame her?—Ulysses schools her on the dangers and consequences of her actions, even when he’s putting himself at risk for doing so. Ulysses gives a powerful voice to the fact that Claire, for all of her 20th century wisdom, can’t easily fix 18th century life, even with her awesome apothecary chest. In an episode filled with anguish, it’s nice to have a sprinkle of levity. Enter: Wee Ian and the Great Skunk Predicament. Any time I see Rollo, I smile. Any time I see Wee Ian, I smile. As much as I love me some Jamie and Claire and Roger and Bree, these two might be my favorite couple. John Quincy Myers may only be in this episode for a few minutes, but that’s really all the time he needs to talk about his hairy buttocks and get rid of Rollo’s skunk stank. River Run is fueled with enough problems. They don’t need a stinky dog on top of it. 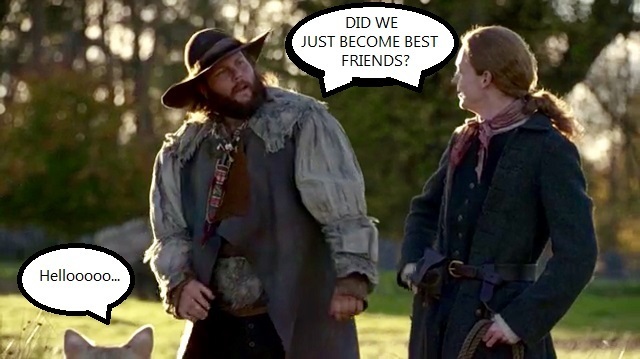 Plus, he establishes a charming rapport with Wee Ian, who must be missing his BFF Fergus right now. JQM, I’d like to see more of you. I mean, not your hairy buttocks, but, like, in the general sense, ye ken? 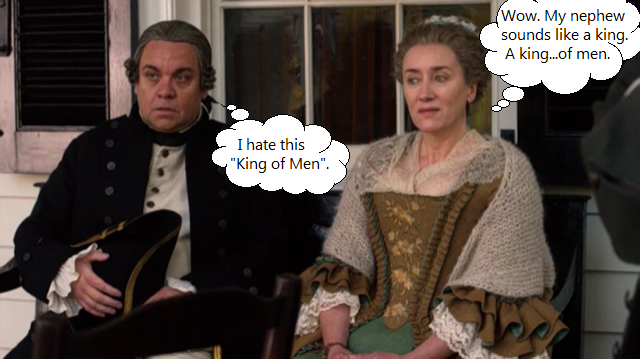 Claire has never been good at concealing her feelings, so when Aunt Jocasta starts talking about her slaves being her friends, Claire makes her disgust known. Claire keeps this trend going through the episode, culminating in her dining room table surgery of Rufus. While that act was Brazen with a capital B, the ramifications could have been dire for the hundred-plus people at River Run, so I can’t deem it the “best”. But pointing out the moral bankruptcy of owning people as property to someone who wants a pat on the back for being benevolent? That’s our Claire. 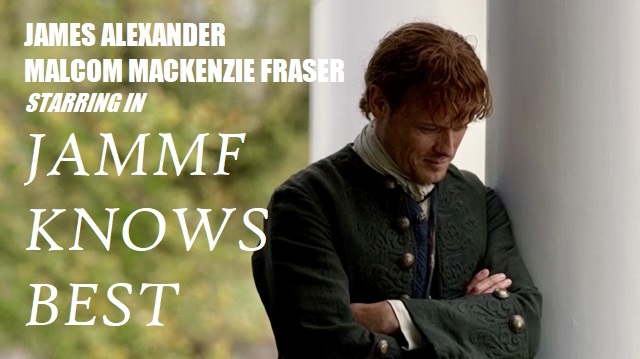 And naturally, this incites the usual JAMMF reaction. We’ve got another MacKenzie sibling in the house! And she’s just as sneaky as her brothers! 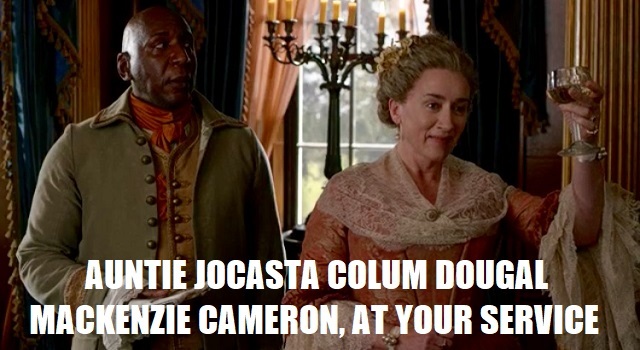 Publicly naming Jamie as heir to River Run brings on major deja vu of Colum and Dougal’s shenanigans at Castle Leoch. It sort of makes me want a spin-off prequel series about the MacKenzies growing up and constantly foiling each other with their trickery. 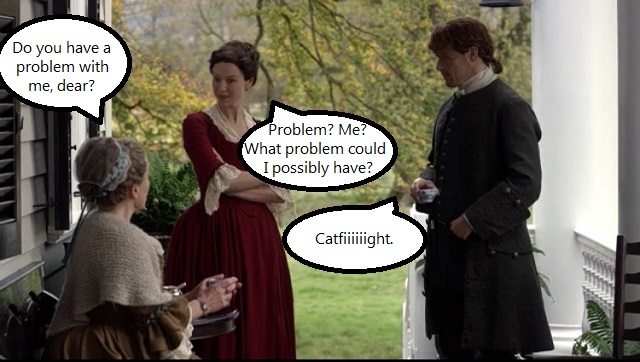 What do you say, Sassenachs? Are you ready for episode 403? 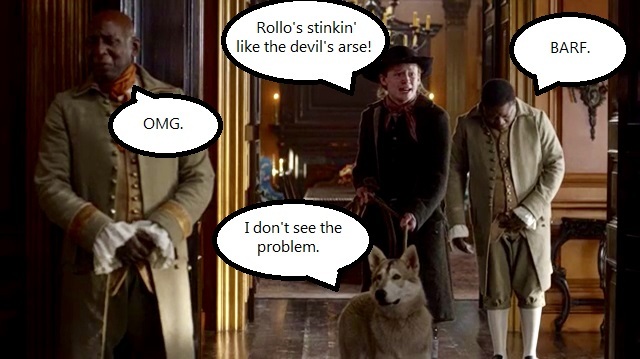 Are you ready for more Rollo? ARE YOU READY FOR ROGER AND BREE? Tonight’s the night! Another outstanding interpretation of this complex drama. I love the way you sort things out with a mix of humor and honesty! Can’t wait for tonights episode with Roger and Bree. Thanks Book Perfume! A wonderful review of such a great show!